South America is a continent located in the western hemisphere, mostly in the southern hemisphere, with a relatively small portion in the northern hemisphere. Shipping my Motorbike: Time to ship my motorbike Buenos Aires, Argentina. We took our bikes early in the morning to the Ezeiza International Airport where our bikes would be shipped from. We also met (location map) a few days ago with the people at Dakar Motos, who would be shipping our bikes, mine to Miami and Eric’s to Capetown South Africa. Well, here we are, my last major riding day into Buenos Aires, Argentina. 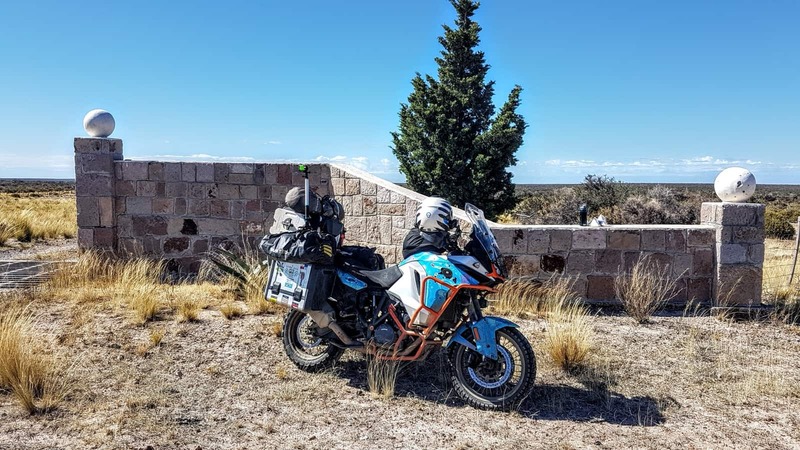 After over 20,000 miles, 170 days and nights touring through America, Central, and South America I get on my trusted steed tarni, my KTM 1290 Super Adventure. Bahia Blanca, Argentina was over 700 miles away, so I had to leave Comodoro Rivadavia at first light and have a solid day of riding. The highways were mostly pretty good. I took Ruta 3, then Ruta 251 and finished on Ruta 22. Although Comodoro Rivadavia, Argentina was nearly a 500-mile journey, I was hoping to accomplish this in under 10 hours. Again I packed my gear the night before and headed out of Rio Gallegos at sunrise. So finally I head back the 2000 miles back to Buenos Aires, but first through Rio Gallegos, Argentina for the night. I had a fantastic time in Ushuaia and spent a few days exploring the Parque Nacional Tierra del Fuego. Tierra del Fuego Park, Argentina and the end of Ruta 3. Yes, this was a very short ride, but it is one that everyone who goes this distance feels compelled to do. And so, I got up early bells rode into the Tierra del Fuego National Park (Parque Nacional Tierra del Fuego). Ushuaia, Tierra del Fuego, Argentina. Yes, this was the goal for me over five months ago. Explaining the feeling, you get when you reach a goal, no matter how hard is difficult to explain. After a few rain soaked days in El Calafate, Argentina I made my way to Punta Arenas, Chile, and yet another border crossing. I would start on Ruta 40 then onto Ruta 3, then cross over into Chile on Ruta 255 and finish on Ruta 9. 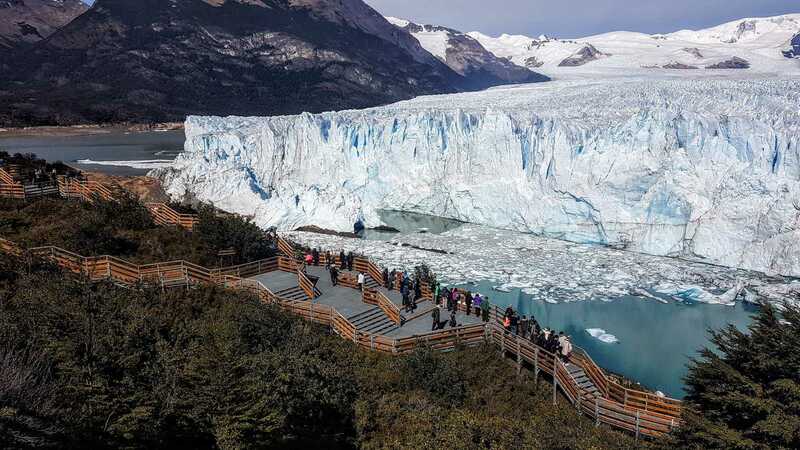 The Perito Moreno Glacier, Argentina is a 250 square kilometer ice formation that feeds into Largo Argentino and is a major tourist attraction in Patagonia. El Calafate, Argentina was again one of the huge markers for my trip.